The Madras high court has declared the 2016 by-election of AK Bose from the AIADMK as invalid on the basis that there was no proof that former Tamil Nadu chief minister J Jayalalithaa was in a conscious state when her thumb impression was affixed. Chennai: The Madras High Court on Friday declared the 2016 Thiruparankundram election of AIADMK’s AK Bose invalid. AK Bose passed away last year due to an illness. The court also dismissed the plea of DMK candidate P Saravanan, who lost the race. In its judgment, a single judge bench said, affixing thumb impression on Form A and B of nomination papers would not be generally permissible. The court held that the papers should normally be signed by the party’s authorised leader. AIADMK supremo J Jayalalithaa’s thumb impression had been affixed, while she was admitted into a corporate hospital in Chennai. The court declared Bose's election as void as there was no proof that Jayalalithaa was in a conscious state to affix her thumb impression. However, the judge dismissed a supplementary petition by the runner up in the election, Saravanan, seeking to declare him as the winning candidate. Due to the court case, the Tirupparankunram Assembly seat has been excluded from the Election Commission’s recent schedule of byelections. The road is now clear to hold fresh byelection. In September 2016, Jayalalithaa was admitted to Apollo Hospital. She had an inflamed right hand as she had undergone tracheostomy and had to affix her left thumb impression in the documents submitted by the AIADMK candidate. As per the Representation of People Act, a candidate contesting on behalf of a political party has to submit Form B, where their party leader has to authorise the candidate to contest under the party's election symbol. 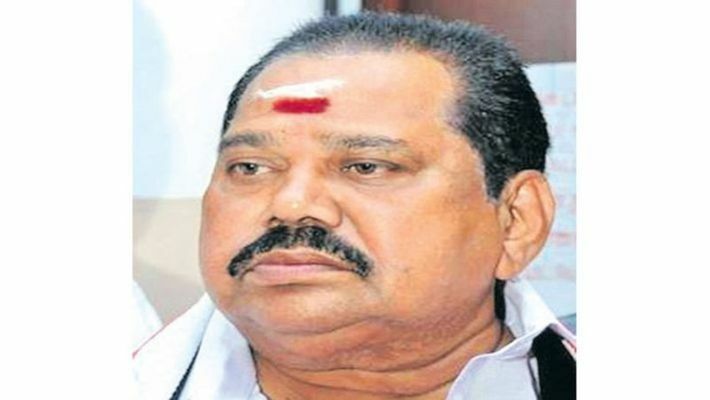 The by-poll in Thiruparankundram was slated for November 19, 2016 and the AIADMK candidate had submitted the papers on October 28 to the Returning Officer. Of the 21 constituencies in Tamil Nadu, only 18 are going to by-polls. Voters in the state will decide the fate of the AIADMK-led by Edappadi K Palaniswami. Supreme Court to hear plea of TTV Dhinakaran on common 'pressure cooker' symbol; two-leaves symbol at stake?